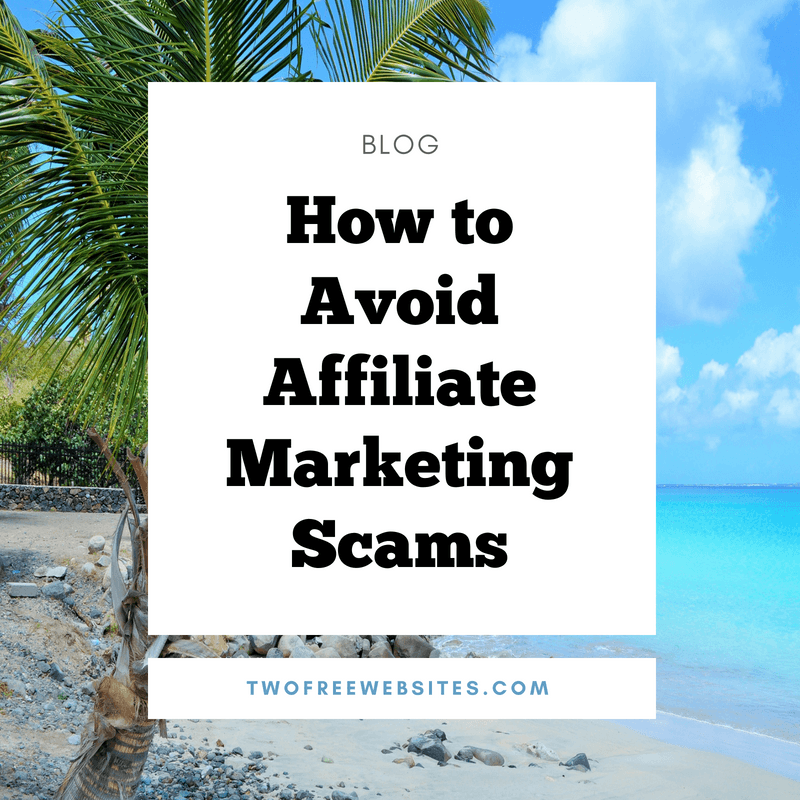 In this blog, I am going to share with you the 4 best ways that I have found on how to avoid the Affiliate Marketing Scams. There are many companies out there trying to get you to sign up for something just to make money from you. It makes sense to use your wisdom in these circumstances and take the time to find a company that is genuinely trying to help YOU succeed and reach your goals! There is a lot to be said for a “gut instinct” about something. Most of the time, these gut instincts turn out to be correct when we look back on them. Hindsight is 20/20. Isn’t that how the saying goes? A gut instinct can be a God-given intuition about something. You would be smart to follow your gut and heed these warnings. Your intuition just might be telling you something. There is that saying that says “If it sounds too good to be true, it probably is”. Well, I definitely believe in reaching for your dreams but I also believe in checking out all of the facts before investing your valuable time and/or money in something. You time is valuable and it is certainly worth your time to do your homework and do some research to check out the facts. 3. DOES IT RESEMBLE A GET RICH QUICK SCHEME? Any company that promises you that you will you will get rich overnight is lying. Any business including Affiliate Marketing requires dedication, time and perseverance. It is worth the effort that you put forth. Over time and work, it is more than possible to develop a lucrative full-time on-line business with Affiliate Marketing. If a company tells you that you if you invest tonight, you will be rich tomorrow, you might just want to run the other way! A genuine Affiliate Marketing company will let you know up front that it takes time and dedication. The greatest thing about Affiliate Marketing is that you can earn while you learn. That means that you can start making money through Affiliate Marketing while you are training and learning about it. That is exciting, right? I thought so! Check the track record of the company before you sign up for anything or again waste your valuable precious time. Is the company established and how long have they been in business? Do they have a positive history of paying out commissions that they promised? These are some important questions to get answered. Do they let you try it out with no credit card required or are they trying immediately to get your credit card info? I HAVE FOUND THE BEST AFFILIATE MARKETING COMPANY! I have done a lot of research and in the beginning, I was just looking for a good solid definition of what Affiliate Marketing even is. During that extensive research, I was blessed to find Wealthy Affiliate. Wealthy Affiliate is teaching me everything that I need to know about Affiliate Marketing. Not only did they teach me what Affiliate Marketing is, but, they also provide Bootcamp Style Training where I can build out my website as I follow the Training. And, I can earn while I learn and make money while I train. You cannot beat that. In fact, this website that you are on right now is one of my Two Free Websites that I developed for free through Wealthy Affiliate when I first started out. WA gives you all of the tools that you need to develop an awesome money-making website. Just follow their training and you can do this too! Being an Internet Entrepreneur is my passion and Wealthy Affiliate gives me all of the tools that I need to reach my dreams! Some really great advice here. I already joined Wealthy Affiliate actually and have to agree with you that they are really good. Certainly gave my online business a kick start that it needed. I like your pointers here, these days one need to be very careful to avoid all these scams. I even promised myself never to buy into a product without free trial or atleast money back guaranty, just to stay safe. I ended up at WA because it offered free trial, and today i am glad to still be a member as it really delivers. Yes it does! I feel so blessed to have found Wealthy Affiliate! I went straight to it and did not have to waste my time with any of the other companies that are out for themselves. WA really cares about each of us and helping us achieve our goals! Keep up the good work!